Let's rewind 6 years ago. I was a year into my design business, things had finally picked up and I was fully booked. It was great! But it was also OVERWHELMING. I had never taken on more than one client at a time until then. My idea of project management was back-and-forth emails, my work days went into the evenings and weekends, and my social life had pretty much disappeared. My friend once said to me ‘we never see each other anymore’. 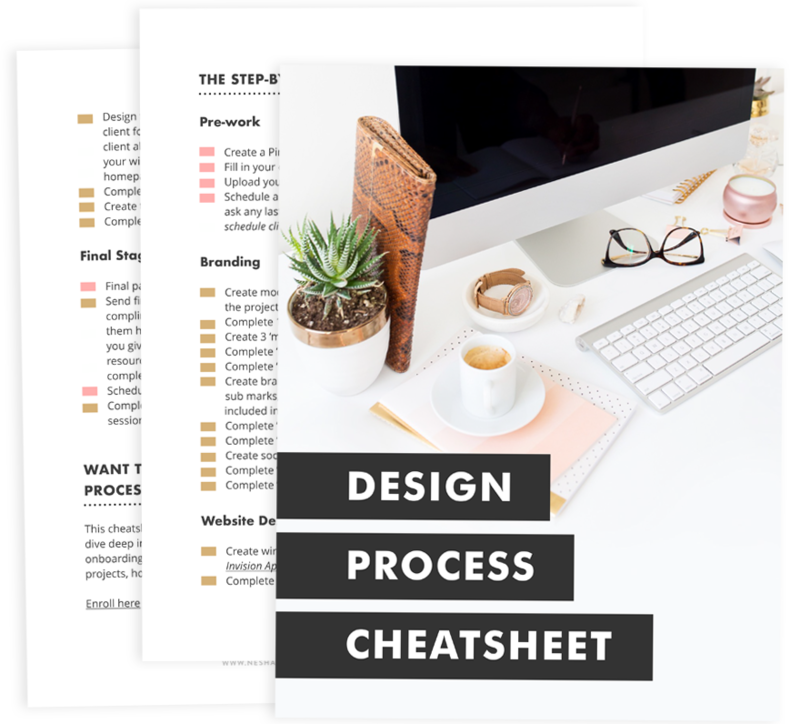 I knew that setting up systems to organize my client process would speed up my projects and free up my time, but I thought I didn't have TIME to set up systems. When I first started my design business, I thought the only thing I had to do was design (and be good at it). Boy was I surprised when I realized everything else I had to do to keep my clients happy and keep myself sane. There's so much that comes with running an online business! The key to running a profitable & enjoyable business that doesn't take over your life and drive you crazy? Streamlining your business as much as possible. So you want to spend some time working on your design business, not just in it. But you can’t find the time. You spend all your time looking for clients or designing for clients, and by the time the evening comes, you’re shattered and just want to watch Netflix. How do you find time to work on your design biz without giving up your client work (which brings in the money), and your free time, which helps you stay sane?